Anything in this blog is stated as beliefs and opinions with the facts as understood at the time of posting. My apologies for a protracted delay in posting but my professional duties of the 12”=1’ modern image variety have (of late) left my time-priorities elsewhere. On a Saturday in mid-March I attended a club’s model railway exhibition in the Sussex town of East Grinstead; a trusted friend and experienced modeller attended on the Sunday with his family. In due course we shared our experiences thereon in respect of our seeking to support this club’s exhibition. Arriving shortly before opening time there was no parking set aside to blue-badge holders (etc) or was there anybody present in the car-park to provide assistance – a huge failure by the organisers. We were lucky being able to get in an end-bay (the last of two empty parking spaces) where I could open the car door wide to get out. Whilst we observed two persons standing outside the gate when we left, they didn’t appear to be ‘doing anything much to help’ (in the words of one wheelchair user in the exhibition). As we queued it started to drizzle be were fortunate in just being able to just squeeze inside the doors; many were left outside waiting in the wet. Finally, at 10:00hrs the cash desk was opened and people were very slowly sold entry tickets. However, it could have been so different with tickets sold (say ten minutes) in advance enabling people to at least wait in the dry (inside) thence the avoidance of protracted queuing delay at 10:00hrs when the ticket vendors simply struggled to cope with the immediate rush. Furthermore, what the ticket vendors couldn’t advise upon was what ‘Concession’ actually meant in terms of the tickets they were selling…. The school venue is restricted as it involves stairs and as a consequence parts of the exhibition were only accessible via stairs. Essentially this meant the needs to those with disabilities were in part ignored (potentially contradicting the Equality Act’s ‘reasonable adjustments’). In this respect it is not sufficient to claim this is the ‘fault’ of a venue which ‘we have always used’. It may be that parts of a venue simply aren’t suitable for public exhibition. Perhaps one of these could have be used for say, the exhibitor’s seating! There was a mix of layouts and traders which was just sufficient to maintain some modicum of interest. Some of the layouts appeared to be static exhibits as the operator(s) ignored the paying public to instead chat away to somebody who had possibly regretted asking a simple question. Several layouts had good detail and looked the part although one used inappropriate humour thereon; another’s train movements bore little to operational reality. Within the exhibition a second ‘side hall’ had this time been turned over to exhibitor’s seating instead of (previously) having further exhibits therein - subtle exhibition downsizing perhaps? More importantly whilst this side hall remained completely empty (whilst we were present) the paying public struggled to find sufficient room to sit to eat /drink in a small cramped area; let alone many of the chairs being unsuitable for adults. On the Sunday my friend found this a huge problem with his family (including young children) and consequentially left early in disgust. This may all sound very negative and it is unashamedly so. However, it must be remembered people pay an entry fee for this shambolic quality of ‘service’. During the exhibition, constructive attempts to tactfully talk to two club members about these issues during the visit fell on deaf ears. Accordingly, these members were politely advised that a commentary would be appearing in my blog lest they had any comments prior to publication. With no response, publication has now taken place. In conclusion my friend and I agreed the exhibition failed on so many levels with nothing whatsoever being memorable about it. Even though it is relatively local, neither of us will be seeking further attendance. Like many I can remember when the model range was very limited and new releases were all too often a change of livery. If a modeller wanted something else then kit or scratch-building was the way forward (I still have my Wills ‘V’ class Schools 30906 ‘Sherborne’). Today, not only do we have an unprecedented range there is now much duplication much between manufacturers therein; in using the term duplication an updated version of a model by a manufacturer is excluded as this is a natural progression of their range through improvement in quality often driven by consumer demand. Duplication occurs where two manufacturers bring out versions of the same model around the same time (such as the Rails of Sheffield and Hornby class A1x ‘Terriers’) but is it duplication if a manufacturer brings out a version of a competitor’s model last released some twenty-years ago (Such as Hornby’s and Bachmann’ class N15 ‘Lord Nelson’ locomotives. Arguably not as, in the terms of say the ‘Lord Nelson’, the model has been duplicated (past tense) but as one version is long out of production it isn’t duplication (present tense). It must be said the even today the Bachmann model still reasonably holds its own with both having a comparable haulage capacity. Recently we had duplication in terms of the class ‘0415’ Adams radial tank as well as the class ‘HA’ electric locomotive (class 71 under TOPS). In terms of these models they had their own merits including price. Personally, my choice of purchase was relatively straightforward (particularly with the type-HA) but this was contrary to other modellers within East Sussex Finescale which proved interesting. There is (I’m given to understand as my modelling is Southern Region) duplication occurring in respect of the TOPS class 66 diesel locomotives with one (or is that two?) manufacturers producing detailed models with another re-releasing an existing model in its ‘budget range’. Arguably whilst there is some overlap, the duplication between a highly-detailed model and a less-detailed model is potentially small being driven by the budget available to individual modellers (or collectors). Now we have the choice of two class A1x ‘Terriers’. In 4mm (00) the only ready-to-run model being the Dapol version; this entered the Hornby range as has been produced for many years albeit using one bodyshell for all. In this respect Golden Arrow Productions in Hastings produced conversion kits for these models to A casting to extend the Dapol /Hornby Terrier bunker to Isle of Wight Capacity (many returning to mainland service in this form). As a model it was oversized and dated with complaints of poor running (I never experienced this) so it isn’t surprising that a new version was being announced; the existing (but durable) Hornby model rapidly becoming akin to one of its budget ‘Railroad’ range. 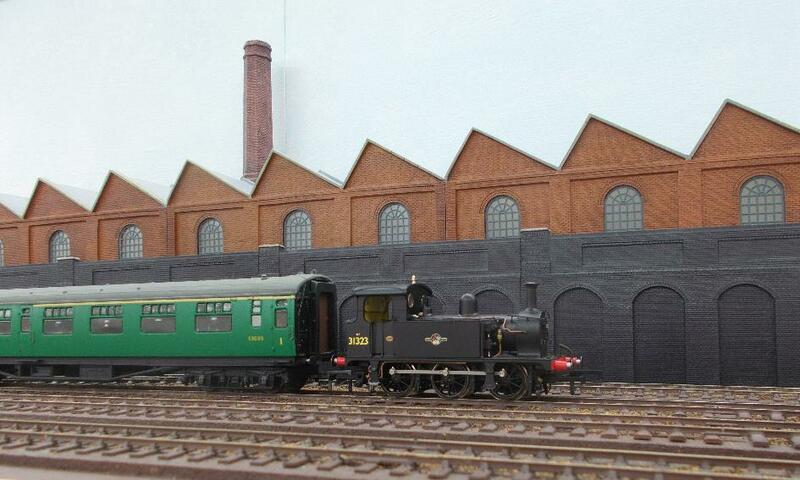 Except the announcement of the new model came from Sheffield-based model shop Rails of Sheffield. Models supported by model shops isn’t a new process but it does involve risk and available capital. As a consequence, many of these models were commissioned from existing manufacturers and often offered as a limited edition only available from that model shop. With most UK-outline model manufacturing now undertaken in China some model shops were able to go directly to manufacturing plants in China; not through existing UK-outline manufacturers. Potentially creating direct completion in terms of manufacturing, Hattons (a model shop with a huge £13 million? turnover) scored a hit with SE&CR class ‘P’ tank engines; a small class of locomotives limited to the south-east of England that was possibly not high on the radar of the UK-outline manufacturers. Personally, I’ve ordered both (indeed Hornby’s 32636 has now sold out in my local model shop) so I can compare and decide on which version to go forward with on those versions that are actually duplicated. In this respect my apologies for having a policy of deliberately not undertaking reviews on models on BloodandCustard.net; besides being time-consuming there are already others undertaking reviews. No doubt many are asking if duplication is to the benefit of modellers? Ultimately model-manufacturers are a business that is there to make money and thrive. If a given manufacturer sees an opportunity in the marketplace then they will consider seizing that opportunity; I suspect the only consideration of ‘benefit of modellers’ is within a new model fitting-in within their existing range and so have greater sales potential. With a relatively long-lead time in model development its is therefore doubtful that a manufacturer will commission (from new) a new model in direct competition with another. Indeed, rumour has it that following Hornby’s announcement of the LSWR Maunsell 58’ rebuilds, Bachmann may have been reconsidering its Birdcage stock which may have been too similar for modellers to purchase both. Fortunately, the Birdcage stock was produced and modellers were able to purchase both. Indeed, rather than being ‘too similar’ they actually complement each other – a significant benefit to modellers! Going forward Bachmann are producing new versions of its 64’ Bullied stock; Hornby are manufacturing 58’ Bullied multi-door stock. Again, a win-win for modellers. The only question being who is going to produce the 64’ Bullied multi-door stock? Although A Southern modeller I do take an interest in other areas and am pleased to see the arrival in my local model shop North British class ‘J36’ 0-6-0 locomotive no.673 'Maude'. If my understanding is correct this might be the first ‘truly’ Scottish steam locomotive; a most welcome development! Sadly, I cannot find an excuse for a J36 on my layout but a Caledonian single no.123 that undertook railtours on the Southern Region would be superb! I have (for the moment) retained this post as it appears many still find it useful! Diag 31 9-camp lavatory TL nos. 169 (Hayling Island), 173, 175, 181, 184, 187 (Southern District), 188, 194, 204 (London Central & London East Districts), 208 (Southern District), 217, 219 (Southern District)*, 225 (Southern District), 231, 253 (Southern District), 267 (London Central & London East Districts), 268 (Southern District), 280 (Southern District), 284 (London Central & London East Districts), 290, 291, 299 (Southern District), 304, 313, 320, 326, 329 (London Central & London East Districts), 353, 360, 361, 364, 373*, 382, 387, 394, 403, 476, 513 *PP fitted in 1958. Diag 98 6-comp lavatory BTL nos. 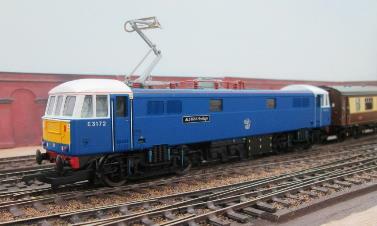 2625 to 2629 (structurally identical to diagram 418) Coach 2626 allocated to Templecombe for S&D. Diag 99 8-comp BT nos.2636 to 2640 formed into twin (2-LAV) sets 42-46. Diag 418 6-comp lavatory BCL nos. 6401 – 6405 formed into twin (2-LAV) sets 42-46. Only a few of the TL (diag. 31) coaches carried Southern Region green (the remainder were withdrawn in Crimson Lake). Those coaches that probably didn’t carry Crimson Lake and went straight from SR Green to BR (S) green were 169, 187, 219, 313, 320, 360 & 373. Finally within its current issue-batch Hornby modelled no.320 (currently preserved on the Bluebell Railway) in its post-war SR livery which it kept until outshopped from Lancing carriage works into Southern Region green 4th October 1956.